Fiberglass violin case, oblong shape. 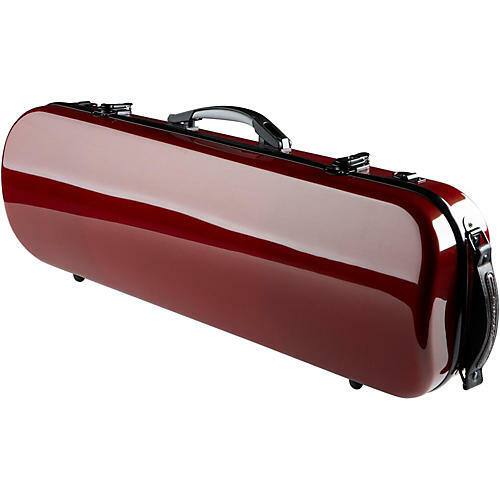 Fiberglass is at once fiercely protective and lightweight, two of the chief attributes to consider when purchasing an instrument case. Your instrument is a considerable investment and you shouldn't entrust it to just any case. The String Centre cases are purchased direct form the manufacturer and the savings are passed directly on to you. String Centre violin cases feature rugged, secure latches, padded interior with an accessories storage space inside, along with room for two bows. It likewise features a carry strap and a carry handle.